We are in progress to organize summer school also in 2019 (July 25 – Aug 2)! More information will follow soon. Students of architecture, urban design and related disciplines from all over the world were invited to RISEBA University International summer school on the ephemeral architecture and urban design – “FestivaL’and”. The summer school in 2018 was organized as a cooperation between RISEBA Faculty of Architecture and Design and Valmiera Summer Theatre festival. Dates: July 24 – Aug 4, 2018. We think the summertime is for festivals! We invited students to get out of the auditorium, get acquainted with the varied cultural experience in Latvia and make new friends, but most importantly – apply their theoretical knowledge and develop the skills in constructing amazing ideas in scale 1:1. The summer school was devoted to the idea of the contemporary ephemeral architecture and urban design elements as catalysts for initially invisible but important processes of turns in the urban environments, perception, and usability of the city. 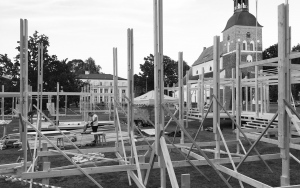 Working in teams and workshops led by invited professionals as mentors we developed the ideas and built the festival village in the very center of Valmiera for VVTF visitors, locals and guests. By adding the versatile culture and entertainment program we turned our summer into the FESTIVAL! We welcome undergraduate or postgraduate level students from foreign universities studying in the following fields: architecture, urbanism, landscape architecture, building construction and engineering, design and arts, scenography or similar. Applicants must have finished at least one year of the undergraduate studies by the time the summer school starts. We also welcome students from higher education institutions, universities, and vocational schools in Latvia. Participants should have at least Advanced level of English language. The full participation fee in 2018 was EUR 711. The fee covers accommodation in the student housing, catering (2 meals per day), workshops and discussion sessions, guest lectures, guided excursions and site visits, social programme and culture activities planned during the summer school. > The participants of the summer school have to cover travel expenses from the country of origin to the summer school location in Valmiera (Latvia) themselves. 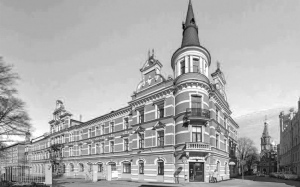 If necessary organizers offer the pickup option in Riga and transfer to Valmiera. For scholarships and available discounts see the section "scholarships". For participants from Latvia, we will offer the limited number of partially funded places with the reduced tuition fee. More information will follow soon. The main languages of instruction in the summer school will be English and Latvian. > Participants should have an Advanced level of English language skills. There are no scholarships to offer in 2019. In total 10 scholarships in 2018 were granted from State Education Development Agency of Latvia to foreign applicants after evaluating the application, Curriculum vitae, and Motivation letter. Participants of the summer school will receive 3 ECTS and a certificate of participation will be awarded upon completion of the summer school program. > Additional documentation to validate the course at the home university will be issued on request. RISEBA University of Applied Sciences in Riga offers its students contemporary and high-quality education already for more than 25 years. RISEBA is an inter-disciplinary and multicultural university preparing students for entrepreneurial careers at the international level. In addition to the business and management programmes, RISEBA has established the studies in the creative industries, architecture, communications and audiovisual media arts, thus transforming the institution into the place where “business meets art”. RISEBA provides the global labor market with intelligent, creative and independent thinking individuals. Faculty of Architecture and Design (FAD) is established in 2011 offering architecture studies in the international settings in Latvia in two successive cycles – Academic Bachelor’s Degree Study programme “Architecture” (3,5 years, 210 ECTS) and Professional Master’s Degree Study programme “Architecture” (2 years, 120 ECTS). Since its foundation, the faculty has combined the best architecture education standards and teaching experiences within Europe becoming the architecture school to form and pursue international performance. Both programmes are taught in English. 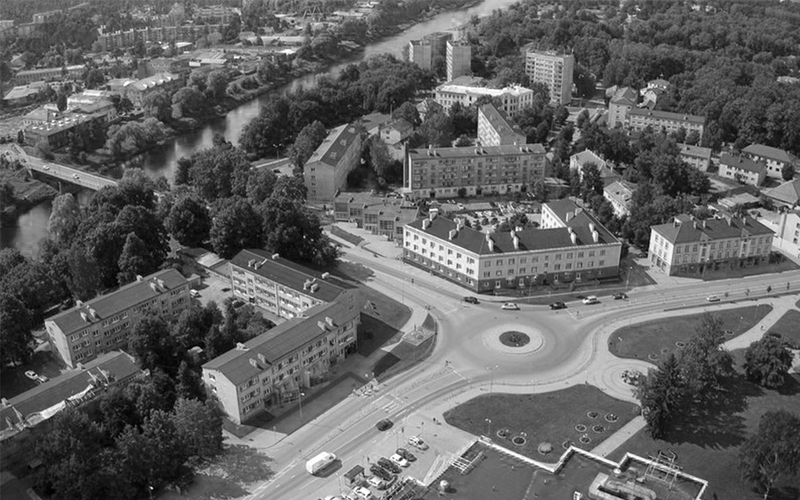 Valmiera is the largest city in the Vidzeme planning region. 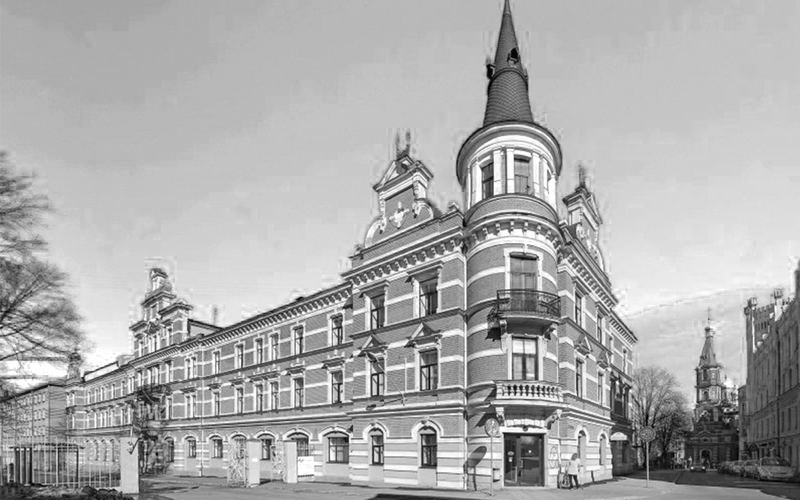 In the context of Latvia, it is considered as a development city with strong traditions of the production and industry, a considerable cultural heritage, and history. Valmiera is one of the oldest cities in Latvia founded in about 1283. It is the former Hanseatic city, ruined by wartime of 20th century, and therefore missing the presence of the historical center in the urban fabric. Valmiera is the administrative, educational, cultural and sports center of the Vidzeme region. As it is a city with a true entrepreneurial spirit, Valmiera is also the center for economic development of the region. Area of the city – 19,35 km2. Population – 24 846 (data from the year 2016). Distance to Riga – 115 km. Valmiera Summer Theater festival is a unique theater event held annually in the urban environment, open air and non-traditional locations in Valmiera city. The performances are exclusively produced for the festival by national and internationally renowned theatre professionals. The festival is in search of unusual places and original forms, which entertain, enrich, and provoke the festival visitors, locals of Valmiera and guests of the city. In addition to the theater performances, the parallel interdisciplinary program expands the festival into the urban space of the city. In the summer of 2019 from Aug 2 to 4, the event will take place already for the fourth time. Creative director of the festival: Reinis Suhanovs (set designer and theatre director). The festival is organized by Valmiera Drama theatre with the support from Valmiera City council.